Highly labile products, such as live viral vector vaccines are not particularly suited to a conventional drying process. 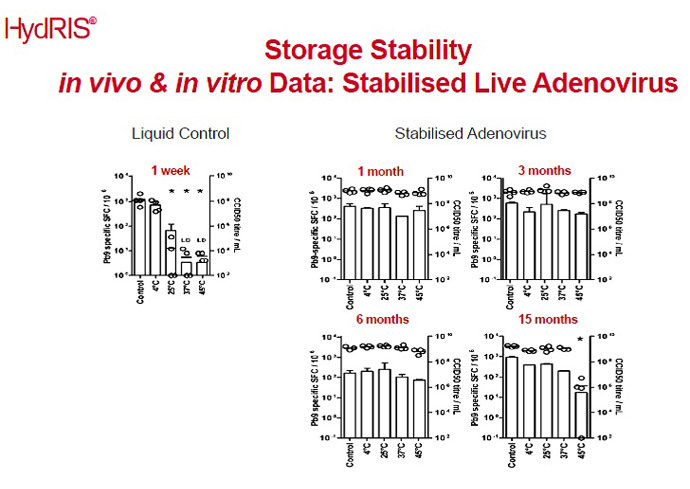 The long term stability data has shown over 12 months stability at 37°C for the above live vaccines (including adeno and MVA vectors). Our live biologics manufacturing facility is authorised to handle organisms with BSL-1 and BSL-2 categories. The manufacturing process is scalable with the demand. CLICK on the HydRIS video to see how the technology works. Nova’s stabilisation platforms are based on a sugar-glass stabilization concept. The inspiration for this tech-nology arose from observations of anhydrobiotic organisms, such as the Resurrection Plant (Selaginella lepi-dophylla), which can protect themselves from extreme desiccation. Such organisms survive in drought condi-tions by producing high concentrations of particular sugars in their tissues. These sugars solidify as a glass during dehydration, preserving the cells and tissues in a state of suspended animation. When water is once again available the glass dissolves away, allowing normal biological functions to resume. In the course of adapting this natural process to stabilize pharmaceutical products, we have identified and de-veloped new and improved glass-forming materials and combined them, resulting in mixed glasses with ideal properties for stabilizing pharmaceuticals. Nova’s technology is based around two main platforms, known as VitRIS™ and HydRIS®, which are supplemented by ancillary technologies. 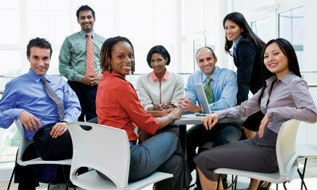 This provides our scientists with the ability to tailor solutions that closely match the needs of our clients. 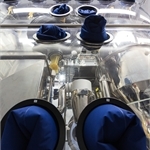 Based on gassed isolator technology, Nova has now finalised the cGMP sterile manufacturing process for the HydRIS® device which allows demonstration of the effectiveness of the device within clinical trial programmes. We have demonstrated that VitRIS™ can be successfully applied to a large number of pharmaceutical preparations including vaccines, insulin, monoclonal antibodies, peptides, proteins, enzymes and nucleic acids. The VitRIS™ platform is based on the well established industrial process of spray drying. In VitRIS™, the pharmaceutical product is formulated with water-soluble glass formers and dried as a solid, non-crystalline glass using an aseptically operated spray-dryer. The outcome of this first stage of the process is spherical, highly polished microspheres, in which the product is immobilised and stabilised. The microspheres produced have been shown to be thermally and physically stable over many years and can be engineered to be either solid ‘Vitrispheres’ with a typical diameter of approximately 3µm, or hollow ‘Aerospheres’ with a larger diameter approaching 20µm. The powder containing the stablilized API, obtained via spray-drying, can then be aseptically filled into any desired product container, including vials, injectors, infusion bags or 2 compartment syringes. Alternatively, the stable powder can be converted into a ready-to-inject format by suspension in an inert anhydrous liquid. These liquids are typically medically-approved fluorocarbons, hydrofluroethers or low density metabolisable oils. This second step requires the ability to match the density of the powder with the density of the liquid in order to prevent the powder either floating or sinking. Thermo-stable products offer significant practical advantages. They need no refrigeration, as they can be stored at elevated temperatures for long periods without significant loss of potency. They are also undamaged by freezing. 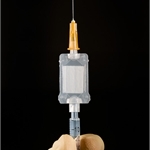 Thermo-stable liquid products also offer the added advantages of requiring no preparation or re-constitution before injection. Changing the physical form of the microspheres generated during aseptic spray drying can dramatically alter their rate of dissolution. 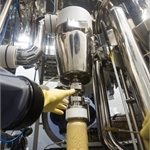 For example, Aerospheres are immediately soluble which removes any requirement for the prolonged reconstitution step normally associated with lyophilized products. cGMP Aseptic spray drying World’s first truly aseptic large-scale spray drier! While spray-drying technologies have been applied in a number of industries for many years, their use in the pharmaceutical industry has been limited by the fact that there were no spray driers operating under truly aseptic conditions. 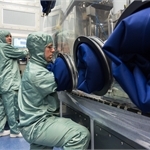 For several years Nova Laboratories have been offering cGMP aseptic spray drying services for the production of sterile, human-use, injectable material, which does not require a terminal sterilization process. Our spray drying facility has undergone numerous full scale media / process validation cycles, and is available for contract manufacturing. Watch our Aerosphere Technology (Instantly dissolving thermo-stable spray dried powder) video. Nova also offers aseptic filling of spray dried powder into a range of final fill volumes and presentations. 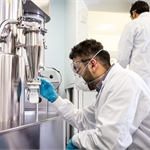 Nova undertakes Proof-of-Concept spray drying trials for clients wishing to evaluate cGMP sterile spray drying for their products. Nova’s Development Laboratory is equipped with a range of laboratory-scale spray driers and supporting analytical techniques, to allow full characterisation of spray dried powder. We welcome speculative enquiries and applications from anyone with experience in the pharmaceutical industry, the right attitude and relevant qualifications. Download all our latest product lists, and news articles from Nova Laboratories. receive the latest news from Nova.